Apex Legends: The next big Battle Royale? In this day and age, it’s kind of hard to keep a secret from the internet. Yet somehow, EA and Respawn Entertainment have managed to do that very thing. Just today, my newsfeed and twitter feed got flooded with the news of a new game called Apex Legends. Now the fact that it was a battle royale was enough to put me off but the name Respawn made me stick around. And after sinking in quite some time and almost winning the damn matches twice, I’m so glad that I did check it out. Now I know what you’re thinking. Respawn made a new game and it’s not Jedi: Fallen Order or Titanfall? Well, the short answer is that Jedis are currently out of order and there’s no need to “prepare for Titanfall”. Fallen Order has been scrapped into oblivion with its design ideas being used for future Star Wars related content. And instead of Titanfall, we’ve got ourselves a Battle Royale that was stealth released by EA. 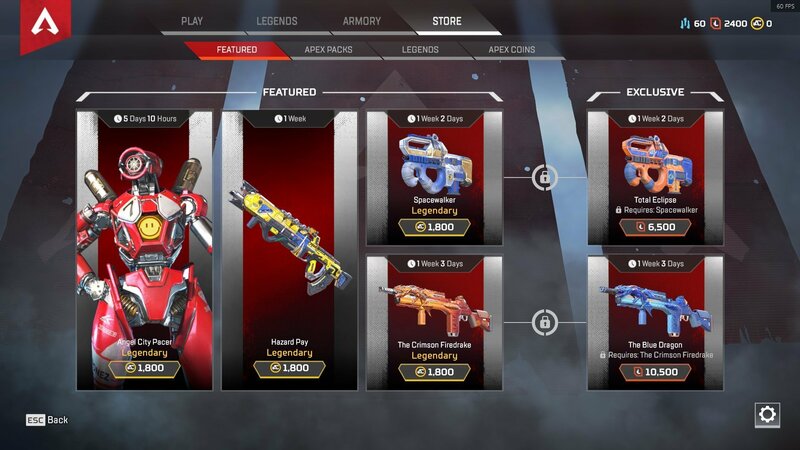 Apex Legends is set in the same universe as Titanfall but it’s different than the hypervelocity, mech & infantry shooter that we know and love. No, you don’t get to zip around the map running on walls or double jumping your way in and out of combat. Instead, your feet are very firmly restricted to a single jump and other normal movements that you’d expect from a Jetpack-less character. Lore wise, all of this is beyond the IMC and Militia fiasco so it kind of fits that you don’t have any jetpacks or grappling hooks (on every character). What sets this apart from other Battle Royales is that Apex gives each player on the map the choice to play a role. You can play a Forward scout, a healer, a tank or someone who shifts between different planes and flanks the enemy. There are 8 playable “Legends” of which 6 are unlocked by default. You can unlock the last 2 Legends by either leveling up and gaining Legend Tokens or by Apex Coins which are the microtransaction equivalent token. Each class plays uniquely and if roles are considered, there are 3 DPS classes, 2 Tanks, 2 supports and 1 Scout. All classes have 2 active skills and 1 passive skill. Their first tactical skill is on short Cooldown while your Ultimate is the one you wanna save for actual tactical usage. Personally, I’m fond of using Bloodhound because I can recon ahead. It is actually a ruse for me to snag the better stuff for myself while I charge my ult to wreck a person or two with increased run speed and active wallhack for 30 seconds. Other characters have other skills and ultimates and they’re all meant to help you and your team in one way or the other. Now skills are fine but you need weapons to get the job done. After you drop from your dropship, your sole job is to keep your head down and arm yourself with as much firepower as you can imagine. Standard BR rules but you’re restricted to only two firearms. Doesn’t matter how small or how big, your limit is two but at least you’re allowed to fit as many grenades, ammo, shields, and health packs as you need. There are some little quirks though. You can’t toss grenades like a lunatic, you need to equip it in hand and then throw it which means you’re not shooting while you’re trying to Kobe someone across the field or swamp. You can recharge your shield (armor once it gets shot) with shield cells and batteries. You can swap them out with better or similar quality armor with higher tiers providing extra shield cap. This shield recharge also takes the same time as using a syringe or medkit so ask your team to look out for you. The weapons are bloody brilliant. They range from all rates of fire to all sorts of damage values and they’re pretty neatly balanced. And on top of that, the weapons look really cool and sleek so they’re right up my alley. 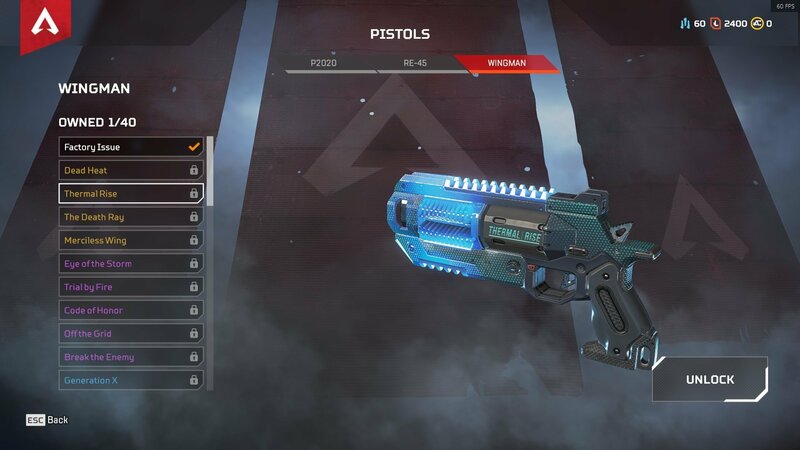 You can fit them with a plethora of attachments and some even have special modifier attachments to make them a unique killing machine. The shooting feels similar to Call of Duty and Titanfall so even as a novice you should have no problem getting over the difficulty curve. The last thing to remember is that you can bring back your friends from the dead. It takes some time and skill and strategy but you can retrieve their banners and take it to a respawn station and call them back. There is a time limit to get their banner but there is no limit to make them respawn. Once they respawn though, they’ll come back penniless so it’s your team’s job to get them back up to speed. It’s a pretty cool mechanic and one that allows some pretty forgiving gameplay at times. Speaking of cool, looking cool is a huge part of this game. And whenever looks are involved, you know that’s where money is to be made. Though there are some differences here. Every level increase gives you a loot box and each loot box has three items to drop. Respawn and EA have gone so far to make sure the drop chances are stated on the loot box page following the fiasco in Belgium. They have made sure that each player is guaranteed to get ONE Legendary cosmetic drop every 30 loot boxes. Oh, and there are no duplicate drops so yay. 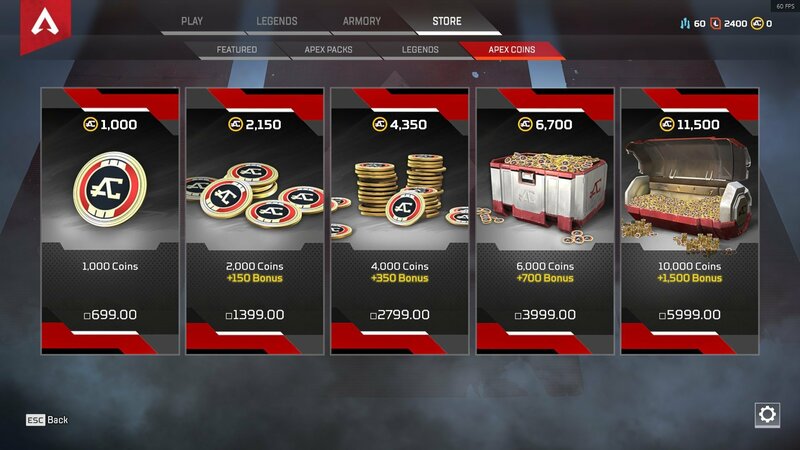 Still, if you’re one of the cool kids to who wants to bust out their credit card, you can buy 10 loot boxes or 1000 Apex coins for 10 USD or 700rs. I’ll let you figure out the math for that.  But as a general rule of thumb, the more money you spend, the better the deal is with Apex coins. Yet these coins are not the only way to look cool. 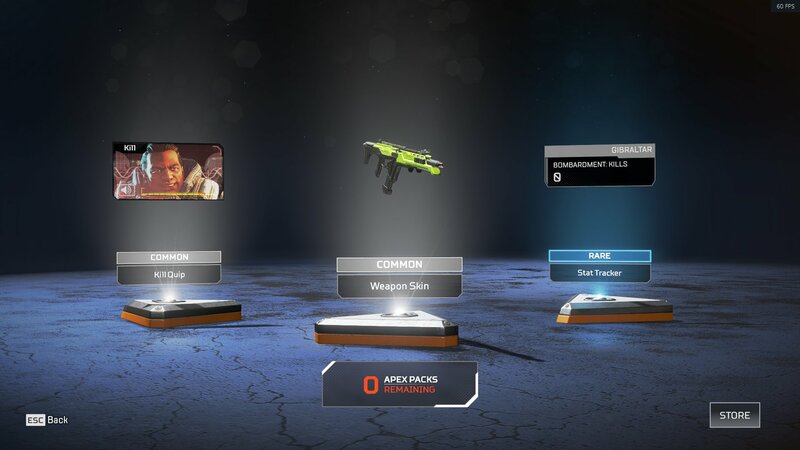 You can use your Legend tokens to buy Legendary skins. 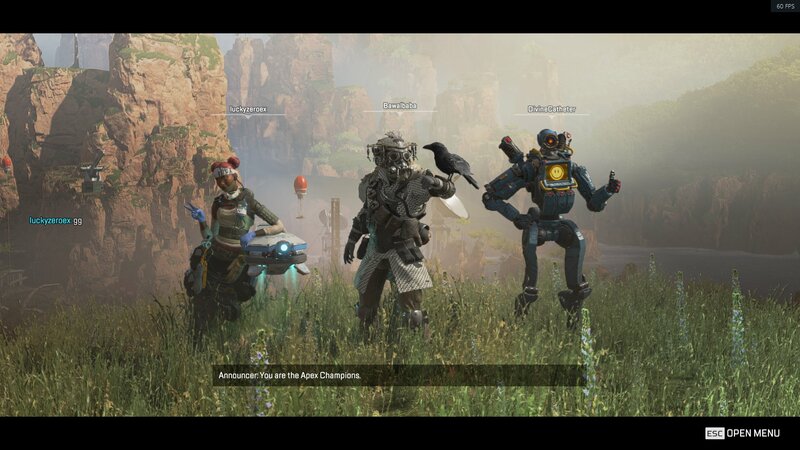 Furthermore, by opening Apex boxes that you get from playing, you randomly get awarded with crafting metals. Gather enough of these metals and you can snag one of the cool looking skins for your favorite handgun. Considering there are 40 weapon skins, 40 character skins, intro quips and kill quips, banners, poses, and whatnot; you’ll be opening a lot of these boxes. 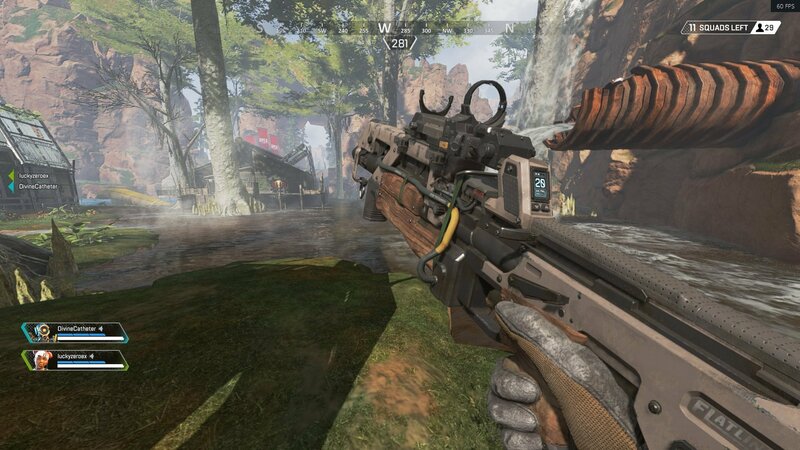 Apex Legends sound good, plays good and it even runs well. But this release from EA’s perspective doesn’t make any sense. EA and BioWare are launching their flagship title of the year mere two and a half weeks from now. 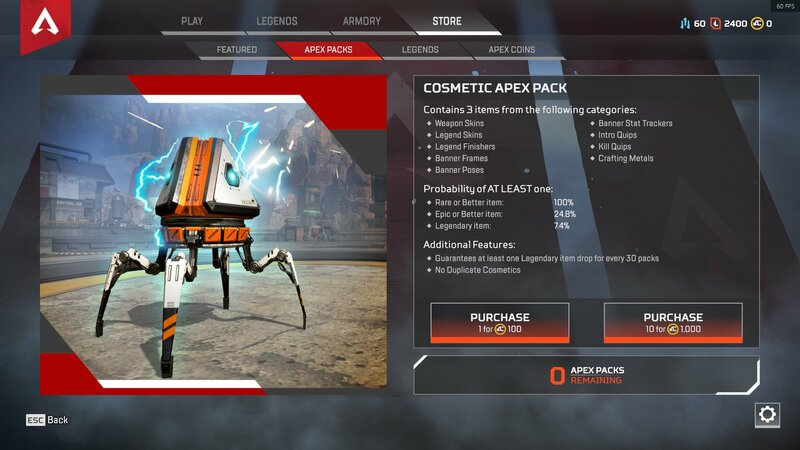 And in the deep dive trailer for Apex, Respawn plans to release Battle passes, new legends, weapons, and loot. 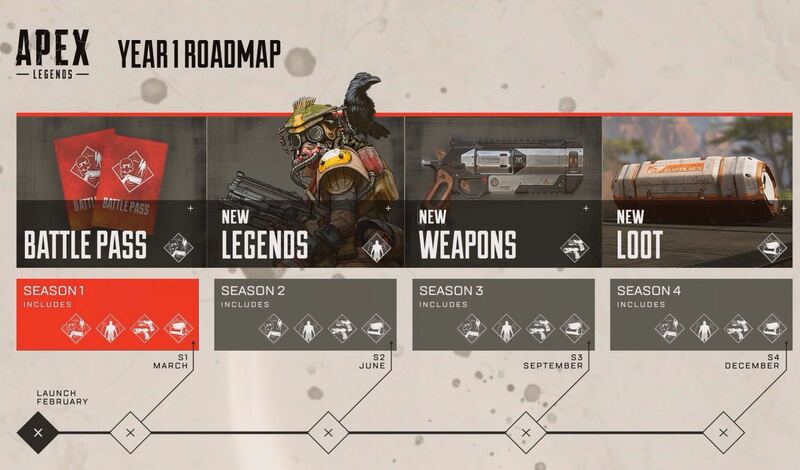 This content roadmap for Year 1 makes it obvious that Respawn is dedicated for the next year or two. And that means an immediate conflict with every other game in EA’s release schedule, starting with Anthem. If there’s anything that both these games need, it’s a free release window unless they want to end up like Titanfall 2. Though Vince Zampella, CEO of Respawn have made it clear that they are going to make T3 (not gonna use the T word! ), it still seems like years off in the distance. And even if it does show up on E3 in 2021, I don’t think we should be seeing any crossovers. 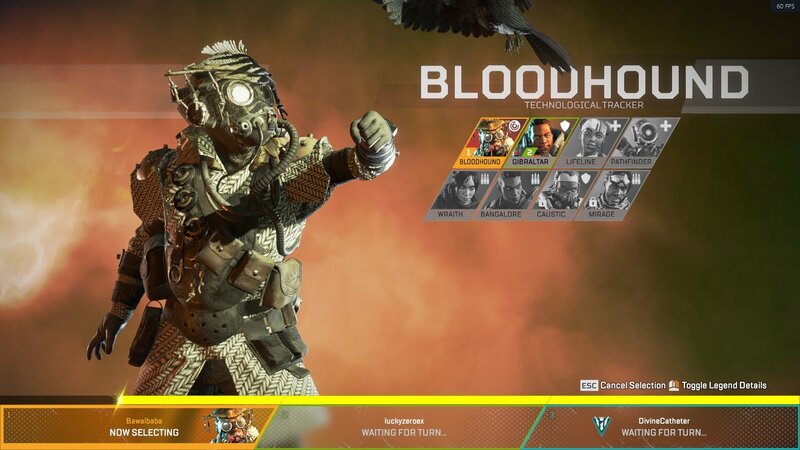 But with Battlefield V’s promised Battle Royale set to release soon-ish and with other BR’s in the market upping their game, it’s going to be a hard-fought battle for Apex Legends. Unless they somehow manage to snag a million players within 24 hours…oh wait, they did. See you in the frontier, Legend. I spend my waking hours mostly playing games and grinding for gear while blasting music on max volume. In my off time, I can be found browsing reddit or the internet in general in search of obscure knowledge about said games.